Husqvarna added new products to its 20-year-old Automower line of robotic lawn mowers. The company added three new models: the Automower 315, for areas up to 0.37 acres; the Automower 430X, for areas up to 0.8 acres; and the Automower 450X, for areas up to 1.25 acres. Like the rest of the Automower line, the mowers cut grass automatically, silently, free of emissions and can handle slopes up to 45 percent. Specific to the Automaker 450X is Automaker Connect, a smartphone app that lets users operate and monitor their mower from anywhere in the world, the company says. 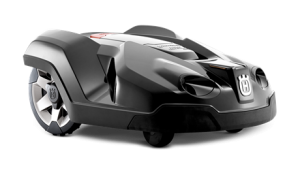 Compatible with Android and iOS devices, including Apple Watch, Automower Connect grants access to the mower’s control panel, allowing users to change settings remotely. In case of theft, Automower Connect activates an alarm and tracks the mower’s position.